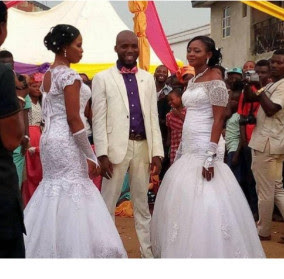 Nigerian man, Ejindu, got married to his two fiancees, Onyediya and Ebere, in the same church in Abriba, Abia state over the weekend. He took turns to exchange vows with the women in the presence of their family, friends and well wishers. How did it come to this? Are men really that scarce or are women just too desperate to be married?